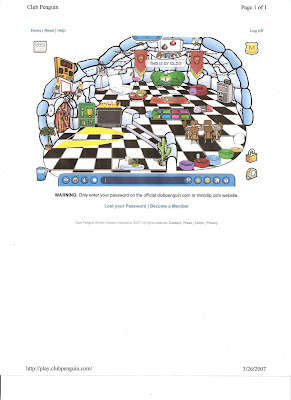 As you can see in this post, this is me on CP as Seal Belly.In the first picture I am in my igloo. and in the second picture I'm in the igloo.DON'T TELL ANYONE THAT I'M A SECRET AGENT AS YOU CAN SEE IN THE PICTURE OR I'LL TRACK YOU DOWN AND REPORT YOU UNTILL YOU ARE BANNED FOREVER!!!! This week the new mission came out!!!!! In my next blog, I will tell you how to beat it. All Ipods are cool but not all of them are great. Ipod Shuffles aren't soo good if you want to see a screen and NOT shuffle around to find the song you want to play and they don't hold many songs. Ipod Nanos are great to have! I have one and I love it! I have a red one. They are great because they have a screen, they are small and skinny and you can play music videos on there and the battery when fully charged lasts over 48 hours and you can put photos on it. Ipod videos are awesome! You can put movies, photos, music videos, TV shows and music. 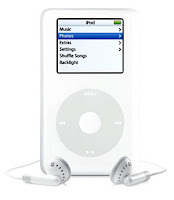 The only thing is that if you want a small Ipod , this isn't the right Ipod for you because an Ipod video is big. And you don't want to get the Ipod Dinosaur because it was the first type of Ipod and it's heavier and bigger than the Ipod video. Steve Irwin was a really awsome and cool person. Even though he sadly died from a incedent with a sting ray, he will always be remembered(especially by his family me me.) He all tought us a lesson about animals. He educated all of us about animals. One important thing that he all tought us was that animals are important thing in our lives, if there were no animals.... life would be boring. As I said in annother article..... I would be sooo board and I couldn't live without them! 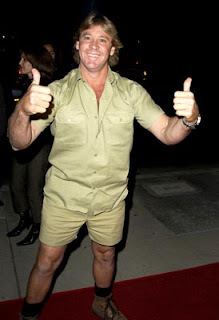 One really important thing to me that was on my list on what I wanted to do in my life was to go to the Steve Irwin zoo in Australia and get to meet him. And that was #1 on my list. Steve Irwin will always be with us no matter what. We should all remember what he tought us. To me Jane Goodall was a very important and interesting person. When she was a little girl growing up in England, she was interested in animals. When she was five years old she wondered how eggs came out of chickens. So one day she went into the chicken house in her backyard. She spent almost the whole day in there that she saw her chicken lay her egg. By the time she got back in her house, her mom was about to call the police (bobbys) because she couldn't find her all day. But since she was an understanding mother, she listened to Jane tell her story because Jane was inspired. When she was older her friend Chloe and her family moved to Africa because her parents bought a farm in Kenya. So then she invited Jane to visit her because Jane always wanted to go to Africa and study animals. She went there for over 4 months then came back to England. Then that's when she got a job at the zoo. 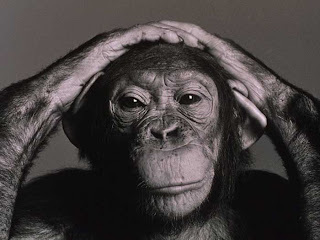 From that job she got inspired to go to back to Africa and study chimpanzees. She spent a year there studying animals. Nowadays she lives in England and she is turning 73 years old on April 3. In school I have to do this project and biography about her. I think she is a really amayzing person. I saw her movie when I went to Ohio. I forgot in my last post to put these photos!!!!!! 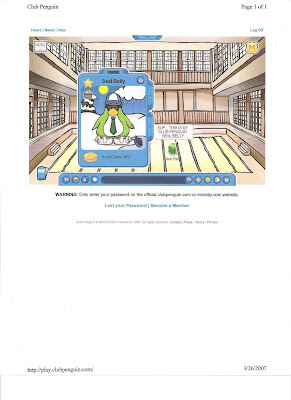 In Club Penguin, there are a few rumors how you can become a ninja.I'm not sure if it is true... but you would have to stay in the Dojo for over 30 minutes. 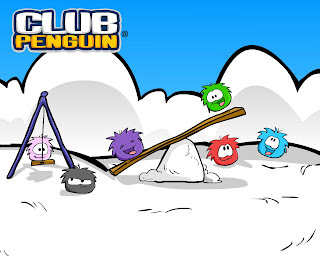 There is also a rumor that they are trying to create clothes for puffles. But one true thing is that the Club PEnguin Team is coming out with a new mission. And in Ice Fishing... you can catch Mullet the big red fish. 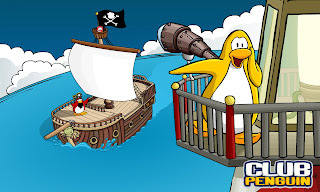 There is rumor a rumor that Captain Rockhopper has a Rockhopper island and that a long, long, long time ago when CP just started that you could go on Rcokhopper Island.